The install was actually very simple which surprised me actually. Step 1 remove the homelink panel from the overhead console. I inserted a small screw driver around the edge close to the #3 key on the homelink panel and pried downward. Once it drops down which is a down and forward motion since most of the homelink is actuall further up along the overhead console you can then removed the wiring clip if you want to. I left mine since I needed to tap the large green wire for power for the V1. Next reach inside the hole where the homelink was at and press on the back side of the overhead light panel. It will drop down. I recommend unplugging this and putting it aside. It will be in the way other wise. 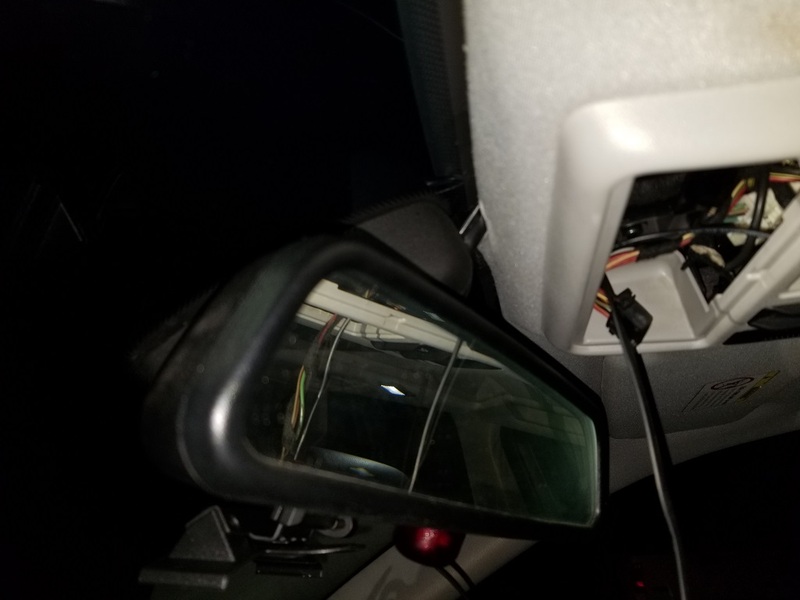 Now run the telephone looking cable through the hole where the overlight was at and push it through the headliner where it meets the windshield. Your aiming to bring this through in a spot so it runs along the factory wires going to the rain sensor. Once the cable is pushed through you can then loosen one of the large black screws that is behind where the overhead light panel was. Insert the black wire’s connector from the V1 wiring. Next you need to attach the red wire from the V1 harness to the large green wire on the homelink’s connector. Don’t worry about finding the right one by color. Its the wire that is much larger than the other wires. I tapped into it and then taped over the connection to protect it from shorting. Last but not least you need to stuff all of this back into the overhead console. The only place that has enough room to hold all of the wires and connectors is behind where the homelink slides into the overhead console. So poke all of the V1’s connectors and excess wiring into that area before you put the homelink panel back in. Then put the homelink panel back in place and plug the light fixture back in and put it back where you found it. The metal mount I used simply clamps around the back side of the mirror’s post and hangs below it. Once tightened it will not move at all. Once you have this clamped on and adjusted you clip the V1 to it. 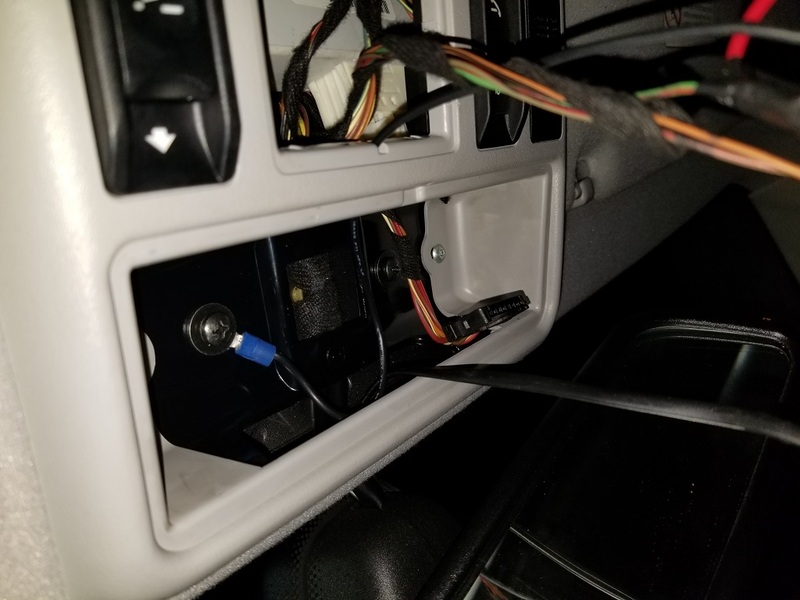 Then plug the phone cable in you ran through the headliner. That is a basic V1 install. If you are using the Bluetooth adapter with it you will add it during the install simply by plugging its short included cable in the accessory socket of the V1’s wiring harness you already have wired in at this point and then plugging the other end of the short cable into the Bluetooth dongle. 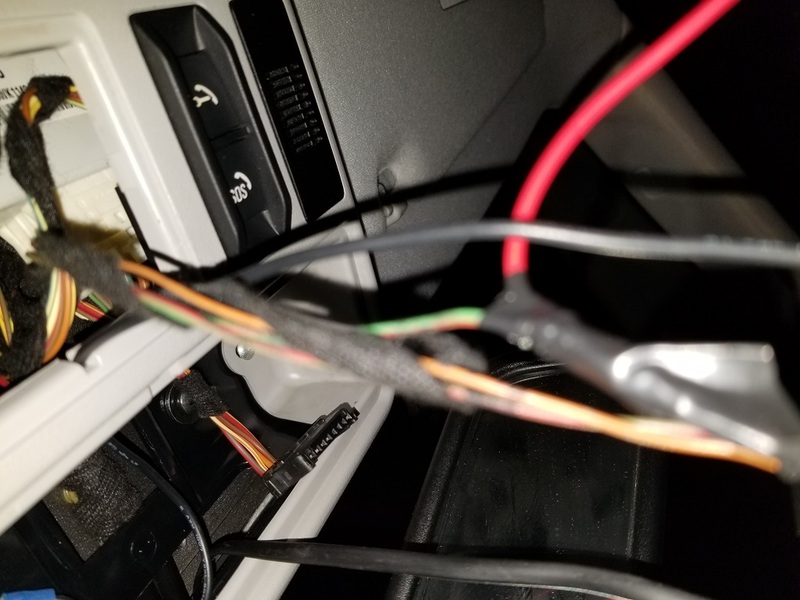 The dongle plus the wiring connectors and such will fit in the overhead console just like the basic install. 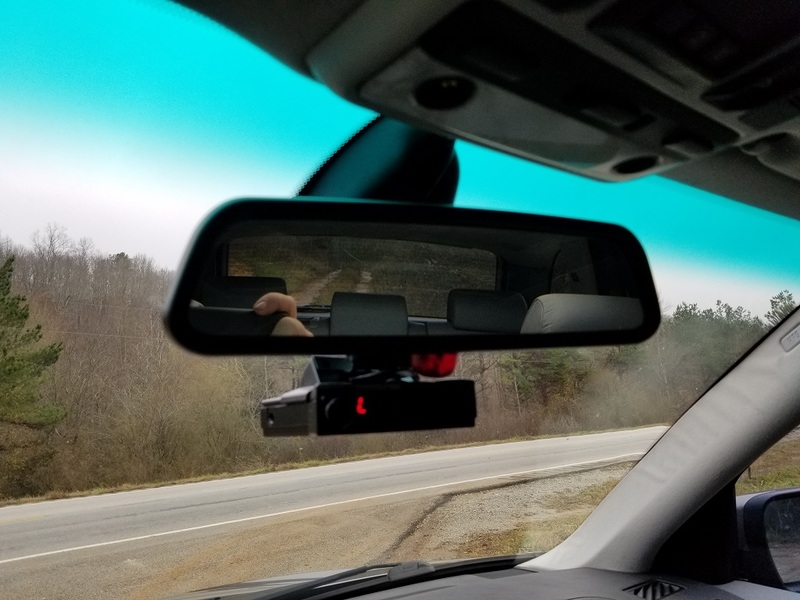 The mount I went with is known as a blendmount.